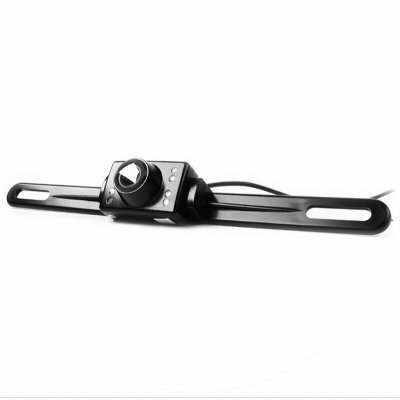 Successfully Added 1/3 Inch CMOS Car Rear View Camera (PAL) to your Shopping Cart. 1/3 Inch CMOS Car Rear View Camera (PAL). Great aid for reversing into cramped or small parking spaces or excellent tool for drivers just learning. This PAL car rear view camera plugs into the AV in on your cars DVD or other display device and shows you an image of the area you are backing into. Over here in Australia, the cheapest I found for a GPS and rearview Camera Combo was $249 from a retailer. I got both for around $100. I have a 4WD and have poor vision when reversing. But the cost always kept me from getting one. For under $25 for a reverse camera, I wasn't expecting much. But when I plugged it in I was amazed. Great picture and angles and love the infa red. I will never have to worry about backing out at shopping centres in fear of hitting something ever again, day or night. Thanks guys!